If you haven’t made any plans, there’s still time to set your schedule and join us. All three events promise invaluable knowledge sharing and unique networking opportunities with thousands of professionals gathering from around the world. In just about one week, the annual Search Conference will be held at the Museum of London Docklands, and will be featuring over 25 leading brands. The Search Conference aims to revolutionise the advanced search strategies in just one day, with talks and sessions which cover a wide variety of industry topics: Mobile Search Optimization, Advertising, SEO tips when it comes to Content Marketing and Link Building, as well as tech-side presentations featuring Progressive Web App development and site speed enhancements. April is intense when it comes to European conference events. We’ll be starting in Germany, with 2 days of exceptional conference time at the reputable SMX Munich, on the 2nd and 3rd of April. Once you hear SMX, you know there’ll be plenty professionals sharing their expertise and revealing the latest industry trends. And then, in mid-April we’ll go back to the UK for Brighton SEO, one of the biggest european SEO events, offering 2 days of search conference and training sessions. The CEO of AWR, Philip Petrescu, and part of the AWR-ers will be around for all three events, so please be sure to stop by our booth and say hi! We’d love to meet and hear about your latest work and SEO challenges. Moreover, we’ll be packed with all the usual conference goodies, so you won’t leave our booth without an AWR souvenir. 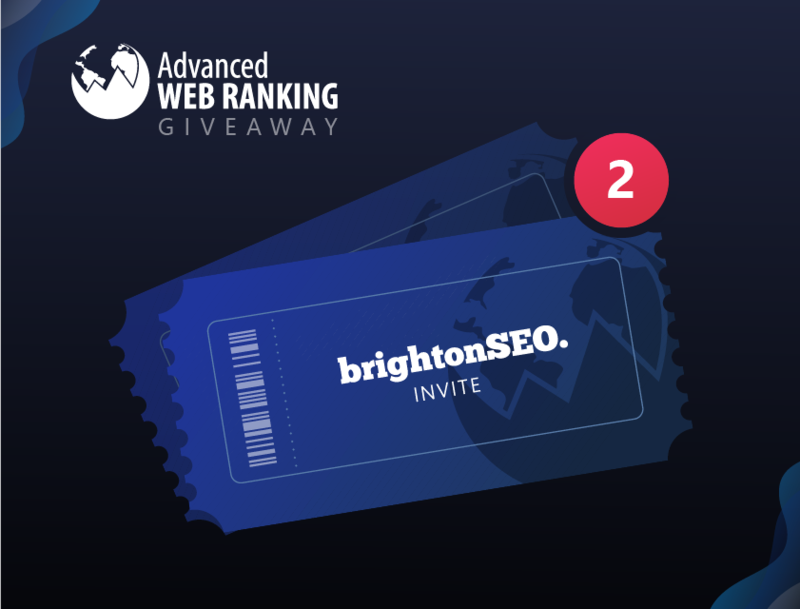 Just as promised, we also have a 2 ticket giveaway for all of you interested in attending Brighton SEO. If you’d like to join us, this is a great opportunity to get your ticket for free. Let us know with a tweet that you’re interested, and we’ll sign you up for our giveaway. Hey #AWR team! Hope to see you at #brightonSEO this spring! Admission starts today and closes on March the 6th. The winner will be selected randomly and announced via Twitter. This giveaway has ended, but keep an eye on our blog, for more contests and offers are in line for you this year! We’re anxiously looking forward to meeting all of you who will be joining any of the 3 conferences! 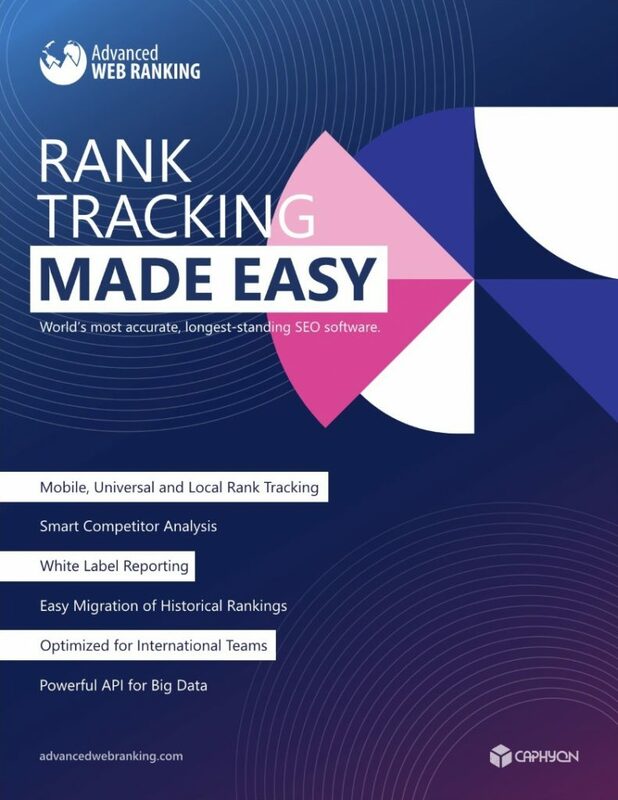 Don’t be shy and stop by at the Advanced Web Ranking booth for an intense talk about advanced ranking performance monitoring! Nice – I would love to attend one of these conferences and hear you speaking live. I will be in Germany and may make it to Munich! Hi Steffi! Sounds great, we’d be delighted to meet you. Look for the AWR team reps at the SMX Munich and let’s talk!